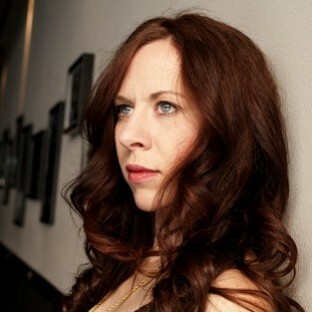 Missy Mazzoli is a composer and a founding member of the band Victoire. Recent projects include works for the Kronos Quartet and the Detroit Symphony, and operas about the life of Isabelle Eberhardt (Song from the Uproar) and Lot’s wife (SALT). She lives in Brooklyn. You can visit her on Twitter here or visit Victoire here. 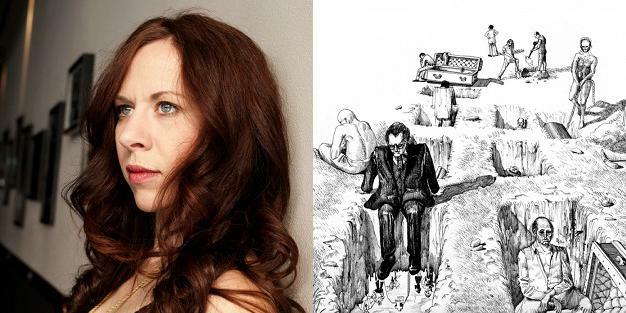 MISSY (Melissa) MAZZOLI Missy Mazzoli is a delinquent tap dancer turned insomniac composer, whose influences range from Beethoven to Balinese Gamelan. She writes for melodicas, out-of-tune guitars and electronics as well as orchestras and string quartets to create a truly unique sound. 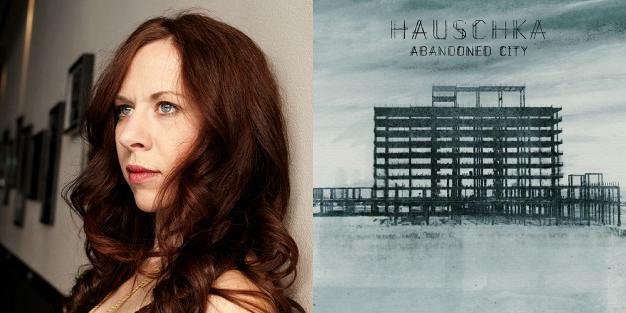 Her music has been performed by NOW Ensemble, Newspeak, Present Music, Dinosaur Annex and ALEA III, and was a featured performer at Amsterdam's Gaudeamus Festival of New Music, where she performed with her electro-acoustic band, Hills Not Skyscrapers. In 2002 Missy received a Fulbright Grant and traveled to the Netherlands, where she worked with composer Louis Andriessen. In March, 2006 Missy was a featured composer and performer at New York City's Merkin Hall, as part of their Ear Department: Emerging Composers Series. 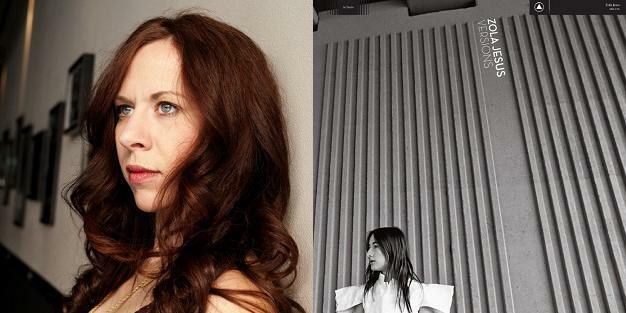 In 2004 she was composer-in-residence at STEIM, Amsterdam's center for electronic music, where she created electro-acoustic works for the Insomnio Ensemble. She has received additional grants from the American Music Center and the American Academy of Arts and Letters. In 2005, along with composers Judd Greenstein and David T. Little and filmmaker Stephen Taylor, Missy founded Free Speech Zone Productions (http://www.fszproductions.com), an organization dedicated to bringing new music to broad audiences. Missy is an active pianist and keyboardist, and often performs with Victoire, a band she founded in 2008 dedicated to her own compositions. Their debut full-length CD, Cathedral City, was named one of 2010′s best classical albums by Time Out New York, NPR, the New Yorker and the New York Times, and was followed by the critically acclaimed Vespers for a New Dark Age. Pitchfork praised Victoire for “condensing moments of focused beauty and quiet conviction from the pandemic distractions of modern life," WNYC dubbed the group “consuming and arresting," and NPR’s First Listen asks “Is Victoire’s music post-rock, post-mimimalist or pseudo-post-pre-modernist indie-chamber-electronica? It doesn’t particularly matter. It’s just good music.” Missy’s music has been recorded and released on labels including New Amsterdam, Cedille, Bedroom Community, 4AD and Innova. In November 2012 the original cast recording of Missy’s first opera, Song from the Uproar, was released on New Amsterdam Records. Missy is a graduate of the Yale School of Music (MM 2006), the Royal Conservatory in the Hague (2004) and Boston University (BM 2002). She has studied with David Lang, Louis Andriessen, Martin Bresnick, Aaron Jay Kernis and John Harbison, among others. Missy was a visiting professor of music at New York University in 2013, and later that year joined the composition faculty at the Mannes College of Music, a division of the New School. Read more on Last.fm. User-contributed text is available under the Creative Commons By-SA License; additional terms may apply. Abandoned City, the newest album from German experimental musician Hauschka, is at once restless, exuberant, and wonderfully intimate.